What are the Pooja Timings of the Amarnath Cave? 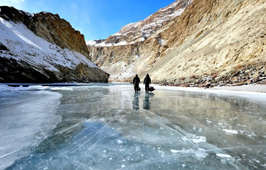 Amarnath Yatra is one of the arduous Yatra that accompanies several hardships and sufferings. Although seeking the blessings of the Almighty is not everyone’s cup of tea. Only dedicated devotees can perform the trek to the holy Amarnath Cave for Pooja And Darshan. Once you complete the minimum of five days journey, you can feel the enlightenment in your life. Since the Amarnath Cave is nestled in the Himalayas that witnesses snow during most part of the year. The Pooja timings of the Amarnath Cave fall between July and August i.e. from Vyas Purnima to Shravan Purnima. Here, a Shravani Mela is organized which is a 45-days season. 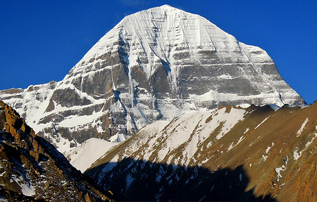 During this season, people perform the trek either on foot or via helicopter and pays homage to the Almighty. Countering the opening timings of the Amarnath Yatra Darshan, the devotees need to register themselves in advance. Also, tourists and devotees are requested to go through a complete medical test before pacing up for the Yatra. This is done to avoid any medical emergency caused due to the hardships of the journey. Due to the unforeseen weather conditions, the opening timings of the Amarnath Cave vary each year. Note: You Can Check Opening Dates of Amarnath Yatra Also.